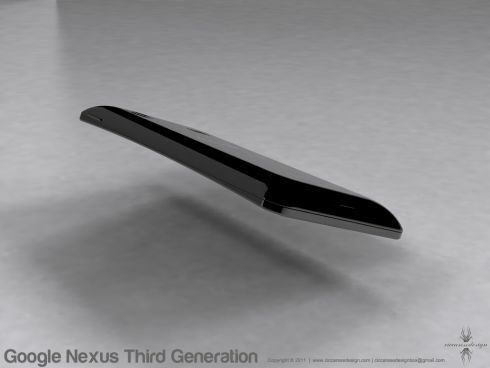 We’re dealing here with a slightly curved smartphone that will eventually be called Samsung Nexus Prime, but Google Nexus 3 does just as good. Notice how slim this unit is and I wouldn’t be surprised if it was below 8 mm in thickness. 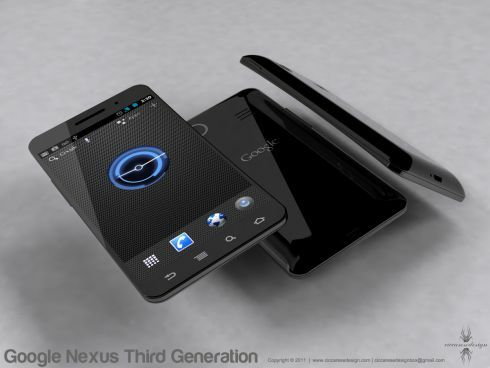 The design reminds me a bit of the Nexus S, albeit thinner and with a less curvy form factor. Ever wondered why they made some phone concepts curved? The idea is to get the handset to emulate to your face for a better experience and if you ever used a Nexus S you know what I’m talking about. The icons from the Android dock at the bottom looks very clean and very well spaced out, while the notification bar at the top doesn’t seem to have changed much from Gingerbread. 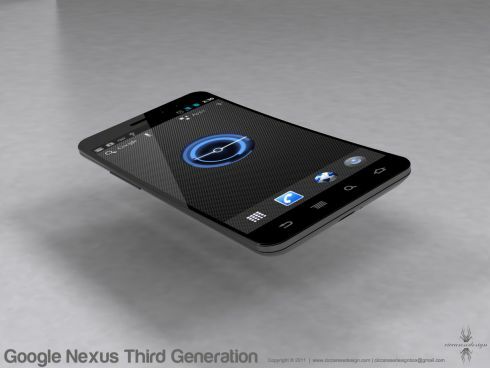 If I were to guess some specs for the Google Nexus 3, these would be it: dual core 1.5GHz CPU, 1GB RAM, 16GB of internal memory, 8MP camera, front cam, NFC and maybe even LTE.